The Head Absolut Joy makes a great ski for the athletic beginner to solid intermediate skier who wants a lightweight ski to improve their skills with on the frontside of the mountain. A Women's Specific Camber requires less energy and force to make the ski react by having a lower camber underfoot. Head's Allride Rocker has a rockered tip that helps you initiate turns easier and give you more control to steer where you want to go. 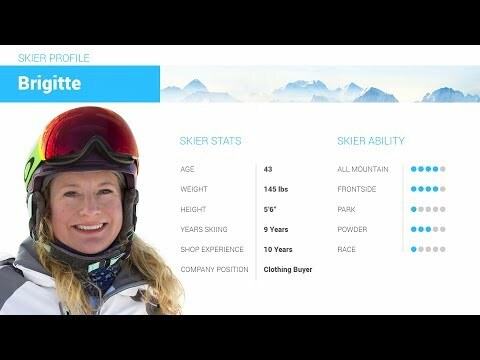 The Graphene Power Sidewall Jacket and Superlite Composite Core keeps the weight of the ski to an absolute minimum that feels stable when you pick up some speed, while still being nice and forgiving for you to learn. If you want a simple ski that will help you grow your skills, the Head Absolut Joy is absolutely the ski for you. 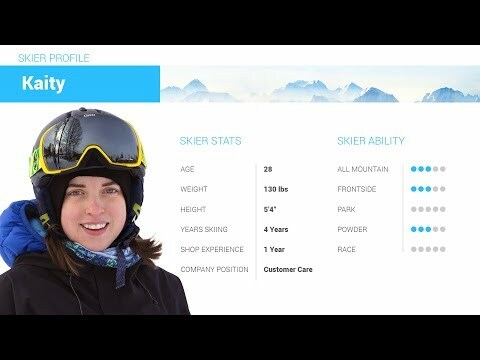 2019 Head Absolut Joy Ski Review by Katie . 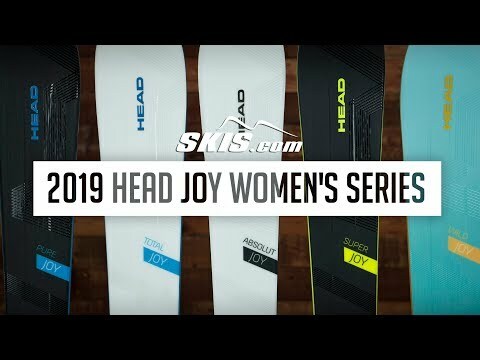 2019 Head Absolut Joy Ski Review by Jami. 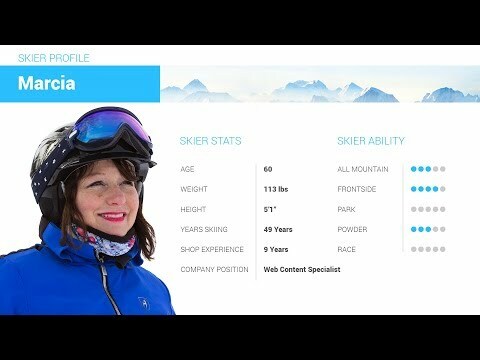 Q: Do you know what the structure on the base is that comes with the ski? A: This ski comes with a basic medium linear structure. For an intermediate skier on groomed snow this is a predictable and smooth glide. A: The 153cm length would be best at your height and weight. It will allow you to start feeling more comfortable with speed and allow you to progress more quickly. A: The radius of the 158cm is 12.7m.